The coastal town of St. Andrews in Fife, Scotland, is famous for a number of things and has a museum dedicated to the town’s history. 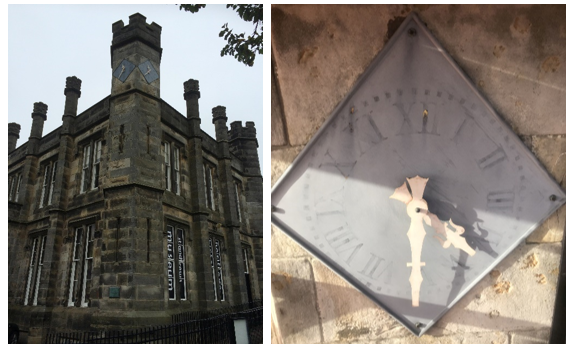 Located in the beautiful Kinburn House, within the grounds of Kinburn Park, the museum is also home to two eye catching clock dials which have recently been restored by Smith of Derby Group member, James Ritchie Clockmakers. Originally built in the Victorian era, Kinburn House has two rombus clock dials adorning one of the towers to be seen by all visiting the museum or park and those staying in the guesthouse. Unfortunately, the dials had begun to show signs of wear and tear following many years of use and it was decided they should be restored as part of a major renovation to the house. The dials at the historic Kinburn House before they were removed and restored. The dials were removed from the historic Fife site and brought back to our Derby works where the restoration process began. The first step was to strip back the dials and hands to their copper base, so a completely new paint layers could be applied. 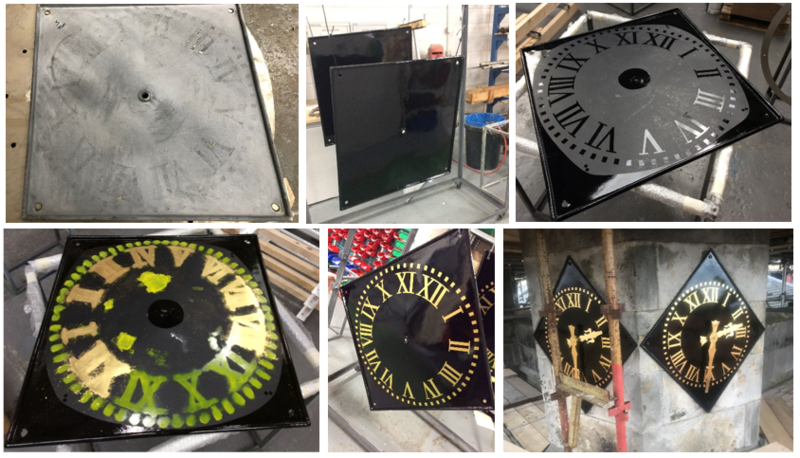 Following this the paint process began, an initial zinga primer layer was applied to ensure longevity for the restored dials before a high-quality black gloss paint was applied in our specialist paint booth. The clock hands, numerals and minute track were added using 23½ carat gold leaf, ensuring the highest quality finish. Stage pictures from the restoration process.